A lot can change in a year. Last year around this time, I was putting the finishing touches on booking my trip for #SHRM18. I was ready to expand my world at my first ever annual SHRM conference. A year later, I’m writing my first SHRM Annual Conference and Exposition (2019) blog post as a #SHRM19Blogger! This year it’s all about creating better workplaces. As luck would have it, I had a moment to chat with an amazing friend, Mr. Steve Browne. I won’t share the details of our chat, but I will share a Steve Browne quote: “The way to change things, is to encourage.” Those words mean something to me and I hope they do for you as well. Let me ask you, in a world that feels broken, where it seems as if everyone is picking a side, how do we filter the noise and be the encourager? It takes a little faith and keeping an open mind. Encouragement isn’t something you do from a daily checklist- it’s a way of thinking and having a deep belief in people. We can all use some encouragement, not just when we’re young, but throughout our whole lives. If you’re a parent or a teacher, you know firsthand what being an encourager means. But even if you’re not, you know, because you are an encourager to someone. Encouragement is what moves people forward. It’s the power of giving hope by lifting others up, instead of tearing them down. It’s believing that together we can change the world. 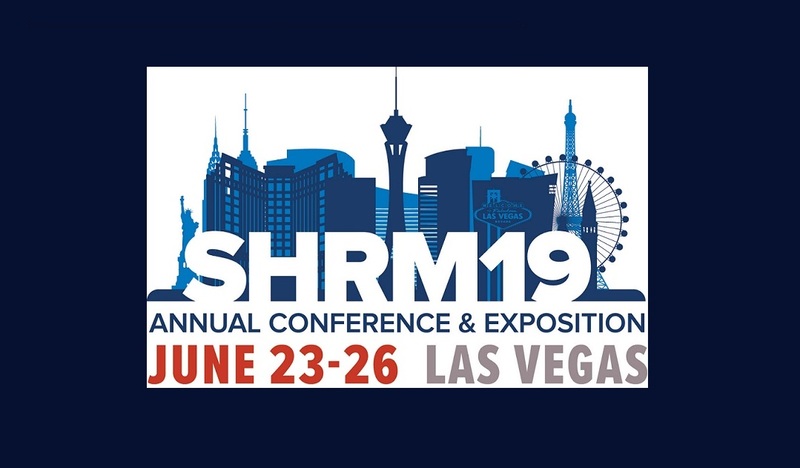 I know for some of my HR friends, you might be torn about attending #SHRM19, and I hope that you decide to attend anyway. Because while we can’t change what’s going on in our political world, we can come together, and work to create a better workplace for our employees. At #SHRM19, I pledge to use my voice to help others grow. Be inspired by learning. Be intentional with making true connections. And enjoy the most of my time there. I’m looking forward to learning from countless speakers who will inspire us to transform our workplaces to build a better world, and meet up with some old friends from expanding my world at #SHRM18, to meeting new friends who have a passion to learn and share ideas at #SHRM19. Originally posted on A Pocketful of Chelles blog. Michelle Kohlhof is the Director of Human Resources for ExecuTech Strategic Consulting, an IT government contracting firm. She has over 12 years of diverse human resources experience supporting small to large-size organizations. Her experience includes leading HR initiatives in the areas of policy design, compensation, performance management, compliance reporting, HRIS implementations, HR workflow development, learning and development, and benefits administration. Michelle leads the talent acquisition and talent management initiatives for ExecuTech. Prior to joining ExecuTech, Michelle held HR leadership positions for various government contractor and commercial organizations. While at these organizations, Michelle honed her skills and has tailored them towards supporting federal government contractors. She has a strong passion for working with people, and partners with senior management in building their employer brand, while supporting front-line managers with developing their teams. Michelle earned her Bachelor of Science degree in Human Resources Management from University of Maryland University College. She is a member of the Society for Human Resource Management (SHRM) and Northern Virginia Society for Human Resource Management (NOVA SHRM). Michelle is the blogger behind Pocketful of Chelles, a personal blog inspiring you to discover your own new adventure that will make you smile - because there is more to life than the nine-to-five grind. You can connect with Michelle on LinkedIn or follow her on Twitter at @MKohlHR.